Pharmacy technicians work in retail, hospital, and mail-order pharmacies as well as insurance and pharmaceutical companies and long-term care facilities. 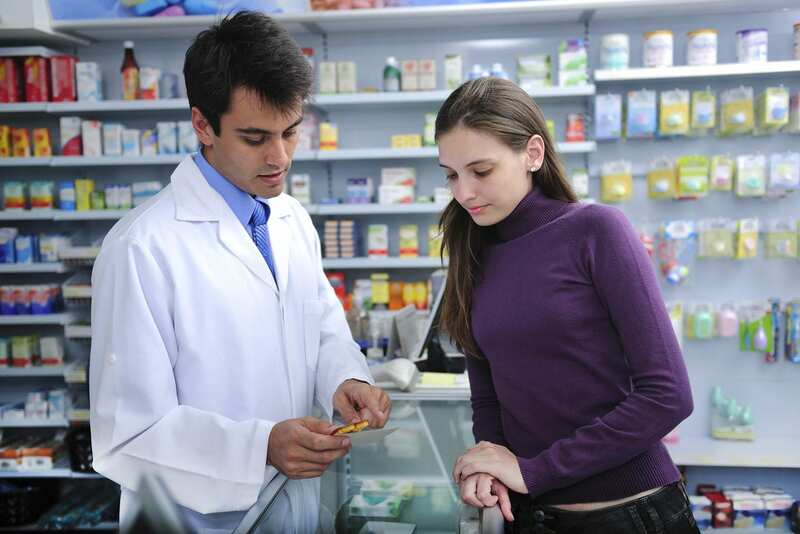 In community pharmacies, they spend their time interacting with customers and preparing prescriptions for dispensing. In a retail pharmacy, pharmacy technicians stock prescription and over-the-counter medications, count or pour medications into dispensing containers, update patient records, perform administrative duties, answer customer questions, and manage the cash register. In hospitals, pharmacy technicians may have additional duties, such as preparing medications that are commercially unavailable, assembling a 24-hour supply of medications for patients, repacking medications, and delivering medications to patients’ rooms. Pharmacy technicians must be patient, precise, calm, and friendly. The job outlook for the profession is expected to grow faster than the average for all occupations. Virginia College’s pharmacy technician program prepares students to pursue a career path in pharmaceuticals. They are equipped with the technical skills and knowledge to support licensed pharmacists with the dispensing of medications and other pharmacy processes. Experienced instructors teach students how to classify body systems, analyze and organize medical records, use and understand medical terminology, differentiate between aseptic and non-sterile compounding, practice ethically, and use computer systems to dispense medications. Course topics include customer service, introduction to pharmacy, pharmacy terminology, community pharmacy, pharmacy law and medication safety, pharmacological calculations, disease management and prevention, sterile compounding and aseptic techniques, institutional pharmacy, and pharmacy technician certification review. A pharmacy externship will take place at the conclusion of the program. Students must complete a total of 60 credit hours. Tuition for the program is $24,220. Pharmacy technician students complete South College’s Certificate program in just four quarters or one year. Students gain an innovated and career-focused academic experience to serve as a pharmacy technician in an institutional or community pharmacy. Full-time students complete the program in a blended format, which is convenient for students with other commitments. Applicants must be 18 years or older with a high school diploma or equivalent. Accepted students must complete a criminal background check, an approved drug test, provide documentation of immunizations for MMR, DT, Hepatitis B, and Varicella, and have a current TB test and flu shot. Admission is based on space availability. Students must maintain a minimum grade C to progress through the program. Graduates will demonstrate knowledge of medical terminology, the ability to enter new prescriptions, knowledge of brand and generic drugs, know how to process medication orders, and understand third party insurance and reimbursement and the law as it relates to pharmacy practice. Tuition for the program is $20,500. Books and supplies cost an additional $1,975. The comprehensive pharmacy technician program at the University of Tennessee prepares students to enter the profession and take the PTCB exam. The program includes 50 classroom hours and an 80-hour externship. Course content includes the history of pharmacy, pharmacy practice in multiple environments, pharmacy calculations and measurements, defining drugs by generic and trade names, medical terminology, reading and interpreting prescriptions, and dosage calculations and drug classifications. In the classroom, instructors will also cover inventory control, total parenteral nutrition, billing and reimbursement, aseptic techniques, and the handling of sterile products. To participate in the clinical externship, students must submit to a background check, drug screen, and other site requirements. Classes meet two days a week from 6:00 pm to 9:30pm. Tuition costs $1,299. National College’s Pharmacy Technician diploma program equips students with the knowledge and competencies required for entry-level employment in an institution or community pharmacy. At the conclusion of the program, students are prepared to sit the PTCB for national certification. Experienced instructors help students develop a basic understanding of drugs and their applications, learn how to prepare prescriptions and assist with administration, manage patient profiles, and maintain inventory. The curriculum will cover dosage and calculations of medications, pharmacology, pharmacy systems of operations, anatomy and physiology, drug therapies, over-the-counter and alternative medications, legal foundations, substance abuse and misuse, health care law and ethics, and pharmacy technician externship. National College offers flexible day and evening schedules, peer tutoring, industry experienced instructors, modern labs, small class sizes, and clinical externship placement. Refresher courses are available for all graduates. Tuition for the program is $15,770. Books and supplies cost an additional $2,700. Ross Medical Center’s pharmacy technician program runs for 36 weeks. Students learn how to assist licensed pharmacists in a medical setting. Course topics include microbiology, pharmacy law and ethics, medical terminology, inventory control, generic and trade name drugs, manufacturing and packaging, compounding, and pharmacology. The pharmacy externship is a critical part of the program that gives students the chance to obtain learning experience in a real-world pharmacy setting where they can apply the skills learned in the classroom. Upon completion of the program, students are prepared to assume an entry-level position and take the PTCB exam for national certification. Tuition for the program is $14,600. Graduates of the Pharmacy Technician Certificate Program at Roane State are prepared to support licensed pharmacists as a trained technician. The curriculum covers all the essential training for students to competently function in a community or institutional pharmacy setting. Graduates are prepared to obtain national certification through the completion of the PTCB exam. The program is open for admission during the fall semester and concludes in the spring. All courses must be taken in the designated sequence. Course topics include sciences for pharmacy technicians, pharmacy calculations, basics on pharmacy, pharmacology for therapeutics, pharmacy law and ethics, advanced pharmacy practice, sterile products, seminar in pharmacy, and pharmacy clinical rotations. There are 28 credit hours contained in the curriculum. Applicants must have a high school diploma or equivalent, fully disclose any criminal and State Board of Pharmacy registration or licensure actions, and comply with PTCB policies. Other minimum admission requirements include a GPA of 2.0 of better after completing 9 semester hours of courses or completion of the TEAS V for AH or earn an ACT score of 18 or above in reading and math. The application deadline is March 31 annually. Students may need to complete a criminal background check or drug screen to participate in the clinical externship. Tuition for the ASHP accredited program is $4,897. Books and supplies cost $1,569.